SHALL I AT LEAST PUT MY LANDS IN ORDER? Forgive me: I am all mange and forgetfulness. Burrs in the coat of too much thinking, too much pain. My bony hands have grown rigid with grasping the right. What is morality if it is not safeguarded by the voracious? clawed from the carapace of scorpions? But unforeseen birdcalls are troubling this anaesthetic age. Am I to be condemned for holding on to what little I have? Am I to be overthrown by what I have so long sustained? Who commands the city that has swarmed up beneath me? What conspiracies burble in those terracotta cells? I am certain now of nothing but the persistence of stupidity. This is the gift of the tall view. winds down to some obscure apocalypse. from which one cannot descend. I will entertain no regrets. a single leaf you don’t have to. tease the bruised shoot back to straightness. You are the straightness in my back. You are the knot where my paths rest. a strange gift fallen from the sky. I am your leaf; you, gravity. How will life have weight without you? lay you down, to one side, gently. I am in search of a certain man. Nestor, Menelaus, have you seen his sail? Memory, can you resurrect his voice? You ask: How would we recognise him? He has a skull as blunt as an apothegm. He has a chest like a depth-charge. He has forearms like steam-trains. He has hands that break resistance into kindling. He has calves striated as volcanoes. You ask: By what manners might we distinguish him? He has a stride that scythes through armies. He has eyes that would melt ice, then turn to ice. He wields an argument with the rectitude of a hand-axe. He has a laugh that collapses the lungs of nuns. He has a memory to shame elephants. An obstinate, cunning, and irrepressible intriguer. So persuasive, so quick-witted, so self-possessed. Eloquence and sound judgement, too. You ask: What is this man to me? He spoke me into being. how to navigate into unprecedented seas. He beat me just once. He let me go more than once. I turned from him more than once. The gods turned his head to darkness. to make at least the semblance of a father? I wanted to ask him: Did I fail you? I wanted to ask him: Did you perish incomplete? looking for his footprints on the surfaces of waves. Even as I draw closer, with cautious oars, he fades. Where am I to look for him now? 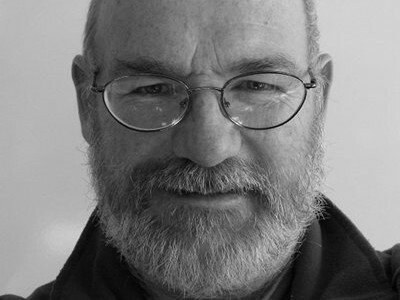 Dan Wylie teaches English at Rhodes University, Grahamstown, South Africa. He has published two books on the Zulu leader Shaka (Savage Delight: White Myths of Shaka and Myth of Iron: Shaka in History, both UKZN Press); a memoir; Dead Leaves: Two Years in the Rhodesian War (UKZN Press); and several volumes of poetry. Most recently, he has concentrated on Zimbabwean literature and on ecological concerns in literature. He founded the annual Literature & Ecology Colloquium in 2004, and edited the collection of essays, Toxic Belonging? Identity and Ecology in Southern Africa (Cambridge Scholars Press). His latest publications are Elephant and Crocodile, both in the Reaktion Books animals series, and Slow Fires (poems with etchings by Roxandra Britz; Fourthwall Books).